The Federal Parliament of Somalia (Somali: Golaha Shacabka Soomaaliya; often Baarlamaanka Federaalka Soomaaliya; Arabic: البرلمان الاتحادي في الصومال‎‎) is the national parliament of Somalia. Formed in August 2012, it is based in the capital Mogadishu and is bicameral, consisting of an Upper House and a Lower House (House of the People). Muse Hassan Sheikh Sayid Abdulle, the first interim Speaker of the Federal Parliament of Somalia. 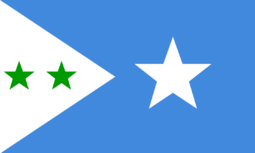 As part of the official "Roadmap for the End of Transition", a political process devised by former Prime Minister Abdiweli Mohamed Ali which provides clear benchmarks leading toward the establishment of permanent democratic institutions in Somalia by late August 2012, members of Somalia's then ruling Transitional Federal Government (TFG) and other administrative officials met in the northeastern town of Garowe in February 2012 to discuss post-transition arrangements. After extensive deliberations attended by regional actors and international observers, the conference ended in a signed agreement between TFG President Sharif Sheikh Ahmed, Prime Minister Ali, Speaker of Parliament Sharif Hassan Sheikh Aden, Puntland President Abdirahman Mohamed Farole, Galmudug President Mohamed Ahmed Alim and Ahlu Sunna Waljama'a representative Khalif Abdulkadir Noor stipulating that: a new 225 member bicameral parliament would be formed, consisting of an upper house seating 54 Senators as well as a lower house; 30% of the National Constituent Assembly (NCA) is earmarked for women; the President is to be appointed via a constitutional election; and the Prime Minister is selected by the president, who would then name a council of ministers. On 23 June, TFG and regional leaders approved a draft constitution after several days of deliberation. The National Constituent Assembly, which consists of 30 elders drawn from each of the country's four major Somali clans (Darod, Dir, Hawiye, Rahanweyn) and 15 from a coalition of minority groups based on the 4.5 power-sharing formula, overwhelmingly passed the new constitution on 1 August. 96% of the 645 delegates present voted for it, 2% against it and 2% abstained. To come into effect, it must be ratified by the new parliament. On 18 August 2012, a list of 202 new parliamentarians was released, with a total of 215 legislators eventually sworn in on 20 August. A further 15 nominated lawmakers were approved by the Technical Selection Committee (TSC), an independent body officially tasked with vetting the applicants. However, verification of their paperwork was still pending before they could be officially sworn into parliament. The remaining candidates that were submitted by the National Constituent Assembly's elders to the TSC were rejected for failing to meet specific criteria agreed upon by stakeholders that partook in earlier agreements, including the Galkayo and Garowe Principles accords. The minimal selection criteria required potential MPs to be Somali nationals possessing a "sound mind", to have at least a high school diploma, to be capable of carrying out parliamentary duties, and to have no reported links with warlords, rebels, armed groups and other potential spoiler elements. The TSC also based its screening procedure on detailed background information on the parliamentary candidates that was forwarded to it by the United Nations and African Union. The inaugural session of parliament was held on 20 August 2012, at the Mogadishu airport since the main parliament building was undergoing renovations. The outgoing President, Prime Minister and Speaker of Parliament all attended the ceremony in the capital, which witnessed the swearing in of most of the MPs and the selection of a new interim Speaker. Jaylaani Nur Ikar, First Deputy Speaker of the Federal Parliament. 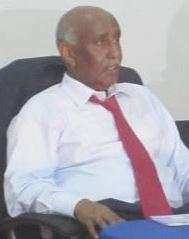 On 20 August 2012, former Somali National Army (SNA) General Muse Hassan Sheikh Sayid Abdulle was appointed Interim Speaker and Acting President. 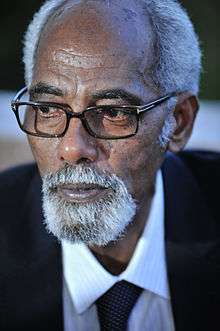 Voting for a new Speaker of Parliament was held on 28 August 2012, with former Minister of Transportation and Minister of Labor and Sports Mohamed Osman Jawari elected the permanent Speaker. Jaylaani Nur Ikar and Mahad Abdalle Awad are serving as his First Deputy Speaker and Second Deputy Speaker, respectively. The Federal Parliament of Somalia constitutes the legislative branch of government, with the Federal Government of Somalia representing the executive division. The parliament elects the President, Speaker of Parliament and Deputy Speakers. It also has the authority to pass and veto laws. In addition, the national parliament is tasked with selecting the ultimate number and boundaries of the autonomous regional states (officially, Federal Member States) within the Federal Republic of Somalia. On 2 April 2014, the parliamentary committee of interior and security announced that it would soon establish a committee to oversee the federalism process in Somalia's constituent provinces. 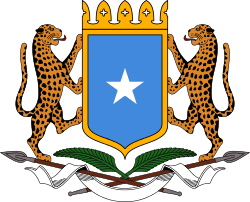 The Federal Parliament of Somalia is bicameral, consisting of an Upper House and a Lower House (House of the People). It includes many professionals, university graduates and women. 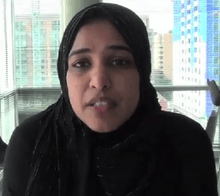 At least 30% of seats are legally reserved for women, a quota secured by Somali parliamentary consultant Hodan Ahmed and women political leaders. Ahmed had also helped form the Somali Women Parliamentary Association in 2009 in the preceding Transitional Federal Parliament. 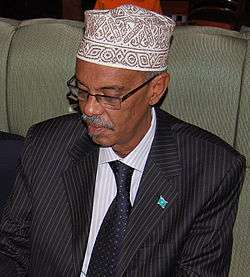 An official list of Members of the Federal Parliament was first published on 17 August 2012 by the Office of the Somali Parliament. Formation of the upper house is pending, and is capped at 54 representatives. The House of the People, or lower house, is eventually expected to comprise 275 MPs. In December 2014, the first Somali Youth Parliament was established. It comprises 275 youngsters between the ages of 16 and 30, who were culled from local universities. Members are tasked with spearheading national development initiatives. In March 2015, the Federal Cabinet agreed to establish a new commission tasked with overseeing the nationalization and integration of security forces in the country. Article 47 of the Provisional Constitution stipulates that "the regulations concerning[...] elections at the Federal Government level[...] shall be defined in special laws enacted by the House of the People of the Federal Parliament of Somalia." According to the Office of the Somali Parliament, sitting legislators are mandated to serve from 2012 to 2016. The Federal Parliament of Somalia is a member of the Inter-Parliamentary Union (IPU), the international organization of parliaments. ↑ Ahmed, Muddassar (8 August 2012). "Somalia rising after two decades of civil war and unrest". Al Arabiya. Retrieved 9 August 2012. ↑ "Somalia: Somali Leaders Adopt Draft Constitution". ANP/AFP. Retrieved 23 June 2012. 1 2 3 4 5 6 7 "Somalia swears in historic new parliament". Al Jazeera. 20 August 2012. Retrieved 21 August 2012. ↑ "Somalia adopts a constitution, amidst insecurity". Garowe Online. 1 August 2012. Retrieved 1 August 2012. ↑ "Somalia's newly-endorsed constitution widely hailed". Xinhua. Retrieved 2 August 2012. ↑ "Somali leaders back new constitution". BBC. 1 August 2012. Retrieved 2 August 2012. 1 2 "Somalia: UN Envoy Says Inauguration of New Parliament in Somalia 'Historic Moment'". Forum on China-Africa Cooperation. 21 August 2012. Retrieved 24 August 2012. 1 2 3 "Office of the Somali Parliament". Office of the Somali Parliament. Retrieved 24 August 2012. ↑ "Somali Parliament Elects Speaker for New Gov't". Voice of America. 28 August 2012. Retrieved 28 August 2012. ↑ Mohamed, Mahmoud (29 August 2012). "Somalia successfully concludes first elections in over 20 years". Sabahi. Retrieved 30 August 2012. ↑ "The Federal Republic of Somalia - Harmonized Draft Constitution" (PDF). Federal Government of Somalia. Retrieved 2 August 2012. ↑ "Guidebook to the Somali Draft Provisional Constitution". Retrieved 2 August 2012. ↑ "Parliamentary interior committee". Goobjoog. 2 April 2014. Retrieved 3 April 2014. ↑ "April 12-13, 2013 - Preliminary Program" (PDF). McDonough Leadership Center. Retrieved 2 April 2014. ↑ "Hodan Ahmed". National Democratic Institute. Retrieved 2 April 2014. ↑ "Benadir administration welcomes the formation of national youth parliament". Goobjoog. 15 December 2014. Retrieved 15 December 2014. ↑ "Committees". Federal Parliament of Somalia. Retrieved 27 October 2014. ↑ "Somali Cabinet Ministers agree financial management committee to work temporarily". Goobjoog. 19 March 2015. Retrieved 21 March 2015. ↑ "The Federal Republic of Somalia - Provisional Constitution" (PDF). Federal Government of Somalia. Archived from the original (PDF) on January 24, 2013. Retrieved 16 September 2012. 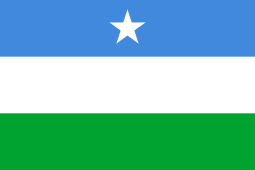 ↑ "Somalia (House of the People)". Inter-Parliamentary Union. Retrieved 6 September 2013.